This autumn, SoundsCreative Projects launches an exciting collaboration with The Nest Collective, to bring the brightest and best of folk, world and new music performers to the Tots Gigs stage. Once you have kids, your evening entertainment options tend to dwindle dramatically. Only the most intrepid parents will brave getting the kids out to a gig. And if you make it that far, then you might have to struggle with protecting young ears from dangerous decibels. Or, just as frustrating, preserving the sacred concert vibe from a squirmy toddler. The alternatives for parents who still want to hear some quality music aren’t promising either. Singing Row Row Row Your Boat for the umpteenth time at your local nursery just doesn’t cut it. That’s why Tara Franks, cellist and founder of community social enterprise SoundsCreative Projects, started Tots Gigs. Tara has been running award winning parent and baby classes - Tots Tunes - for over 5 years in venues around Hackney, to which a whole generation of Hackney parents have and continue to frequent with their first, second and sometimes even third children! Since becoming a new mum herself, Tara wanted to create a family-friendly space where parents could still catch the best of London’s folk, world, and contemporary music scene. 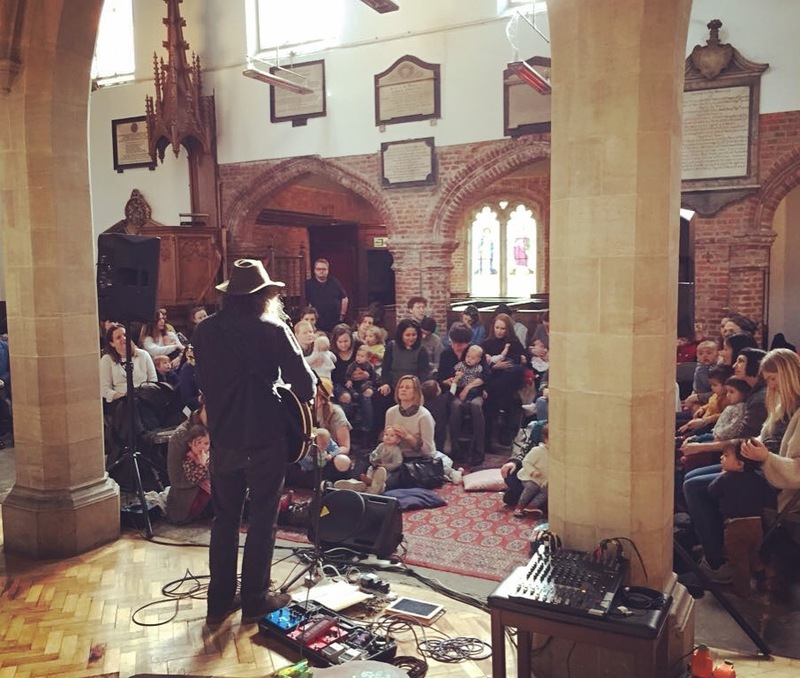 Held once a month on Tuesday mornings in Stoke Newington, the gigs are acoustic, intimate, and informal. Babies and toddlers are free to giggle or wander about during the performance, meaning parents can finally sit back and enjoy the music, as well as the relaxed atmosphere. This openness to embrace such an inter-generational audience makes for performances that feel fresh, personal, and accessible. As one audience member put it, “I think my daughter LOVED IT! Such a pleasure to see such talented performers who interacted so well with the kids. Many audience members also find themselves returning for the sheer variety of acts programmed at Tots Gigs. As local mum Hannah expressed, “I came to many of the gigs when on maternity leave and loved the mix of performers. There’s nothing else like this for parents – it is such a great way to spend a morning”. Indeed, prior performers at Tots Gigs have ranged from renowned kora player Kadialy Kouyaté, to vocalist, award winning composer and author Kerry Andrew (You are Wolf), to Brazilian percussionist Adriano Adewale. From this autumn, Tots Gigs is excited to open up their platform to a whole new network of top artists through their partnership with The Nest Collective. Proclaimed BBC Folk Club of 2010, The Nest Collective is known for showcasing emerging and established talent in the folk scene, and programming gigs in unusual spaces. This new collaboration between SoundsCreative Projects and The Nest Collective will help ensure that the best folk music remains accessible to parents with children. Not to mention, it’s a way for artists to access new audiences, and frankly, you won’t get any newer than babies and toddlers! Start them young, as they say. The collaboration will kick off with Nest Collective Founder Sam Lee making a guest appearance at the first autumn Tots Gig on October 2nd. Sam is known throughout the UK and abroad for his mellifluous renditions and unique arrangements of British folk tunes. Dates for this autumn’s season of Tots Gigs are 2nd October, 6th November, 4th December (First Tuesday of every month). If you’re a parent and interested in catching some of Britain’s finest folk music this autumn, do consider coming down!